Chad Pennington will start at quarterback when the Jets host the Bills Sunday. Head coach Eric Mangini said he chose to stick with Pennington after watching tape of the team’s 38-31 defeat to the Bengals. Mangini said the signal-caller made some key plays in the loss and made the right decisions on the field. Pennington finished the game with 272 passing yards and three scores. He also threw a late interception which Johnathan Joseph returned 42 yards for a score to help secure the Cincinnati win. Subscribe to Jets Gab via RSS Feed or E-mail and receive daily news updates from us! The Jets Are Spending Plenty in Free Agency Thus Far, Will it Pay Off? 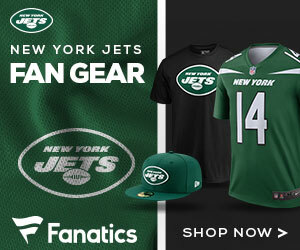 Sign up to receive our daily Jets Gab newsletter, and keep up to date with all the latest New York Jets news. Celebrity Seats has all the best New York Jets Tickets, New York Mets Tickets, New York Nets Tickets, and New York Islanders Tickets!